This coming Saturday, in the Latin Church, we celebrate the Feast of the Visitation of the Blessed Virgin Mary. Because I believe this to be an important feast of the Church, I have written on this topic numerous times in two and a half years. 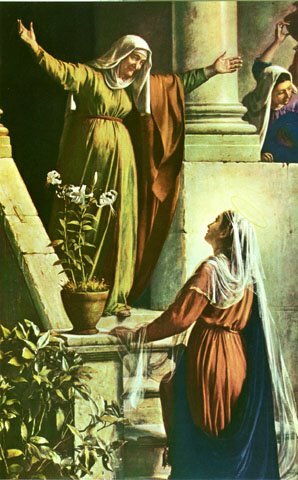 It’s at the Visitation where Mary greets her older cousin Elizabeth, who is also pregnant and was known to a barren woman. We also hear Mary’s Song of Praise, the Magnificat, during the Visitation. For today’s “Mondays with Mary”, I bring you into the mind of one of the great Early Church Fathers and Doctors of the Church, Saint Athanasius of Alexandria. 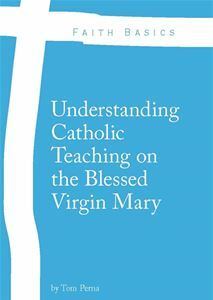 Since St. Athanasius had to battle the Arians in the Early Church, much of his theology focuses on Christology, which in turn led him to defending Mary’s Motherhood and Perpetual Virginity. Although Mary’s Motherhood (Theotokos) and Perpetual Virginity would not be declared dogmatic till the fifth and seventh centuries, the doctrines were held as truth by many early Church Fathers. Many of them fought with pen and papyrus in defending Mary, which in turn had them defending Jesus Christ. It’s the common understanding that when you state something incorrect about Mary’s nature, you are in fact stating something incorrect about nature of Jesus Christ. The excerpt below is from St. Athanasius’ Homily of the Papyrus of Turin. In it, he clearly calls out Arius, who thought that Jesus Christ was above man, but below God. For Arius, Jesus Christ is a demi-god like the Marvel Comics hero, THOR. Wow…That is one moving excerpt! When we hear the voice of God, the voice of Jesus Christ in our hearts, let us pray that we have the courage, strength, and grace to – Hurry and Get Up! Let us also pray that the Visitation of the Blessed Virgin Mary and the greeting She and Jesus brings to Elizabeth and John can be brought to each and every one of us.